Rap of China producer and judge Kris Wu had a rough birthday this year as he found himself the target of accusations of manipulating the US iTunes sales charts. 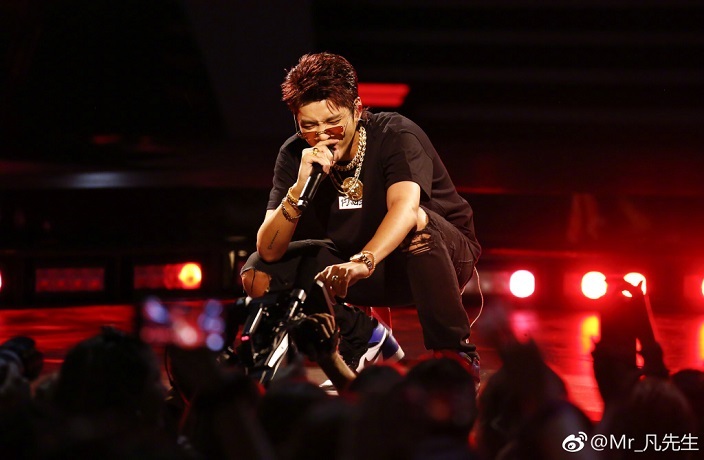 Fans of Ariana Grande were left befuddled on November 5, when Kris Wu took up seven out of the top 10 positions on the US iTunes charts, impeding Grande’s new single ‘Thank U, Next’ from nabbing the top slot, while also making #whoiskriswu the Twitter hashtag of the day (although, we preferred #KrisWho). According to a screengrab taken from Digital Sales Data on November 5, the sales of Wu’s ‘November Rain’ reached a staggering 14 million, which was more than 1,600 times that of the second place single, ‘Shallow’ by Lady Gaga and Bradley Cooper. A day later, Grande’s ‘Thank U, Next’ was released and has since been sitting atop the Spotify and Apple Music charts. With expectations being that the diva’s new single would perform just as well on the iTunes charts, Wu’s out-of-nowhere ‘usurpation’ definitely caught fans off-guard. Amid questions regarding who Kris Wu is, was also speculation that Wu was manipulating the charts using bots. These claims came after screenshots of a tweet (seen below), which appeared to have been posted by Grande’s manager Scooter Braun, began to circulate on the Internet last Sunday. Braun later addressed the scandal in an Instagram post. The post, which featured an image of Wu, included a lengthy statement that denied his involvement in any malicious rumors and proclaimed Wu’s innocence. He said that he had got in touch with Wu and learned that Antares was first released on iTunes in the US but was held back in China until his birthday, on November 6. As such, fans who were eager to listen to the album were required to purchase it on the US iTunes platform first. The rationale behind Braun’s story seems to have been correct as, after Wu’s album was released in China on Tuesday, all of his songs slipped out of the top 100 list while Grande's ‘Thank U, Next’ claimed the top spot. While the whole debacle showcased the incredible purchasing power of Chinese music fans, it also lead some to criticize Ariana Grande for reportedly liking an online post that accused Wu of cheating. In the leadup to his March 16 concert in Guangzhou, we caught up with JP Candela to discuss international touring, David Guetta and more!